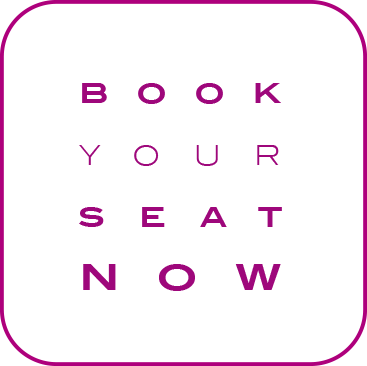 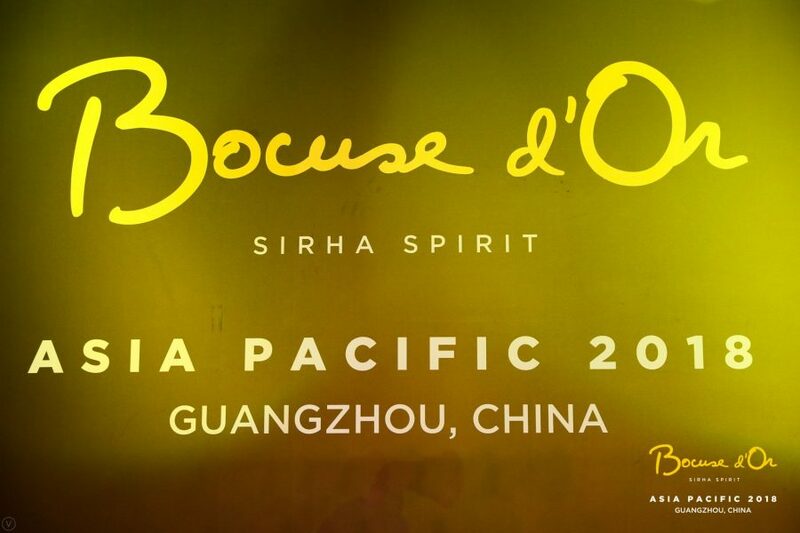 The Bocuse d’Or is the perfect occasion to gather the best chefs of the world. 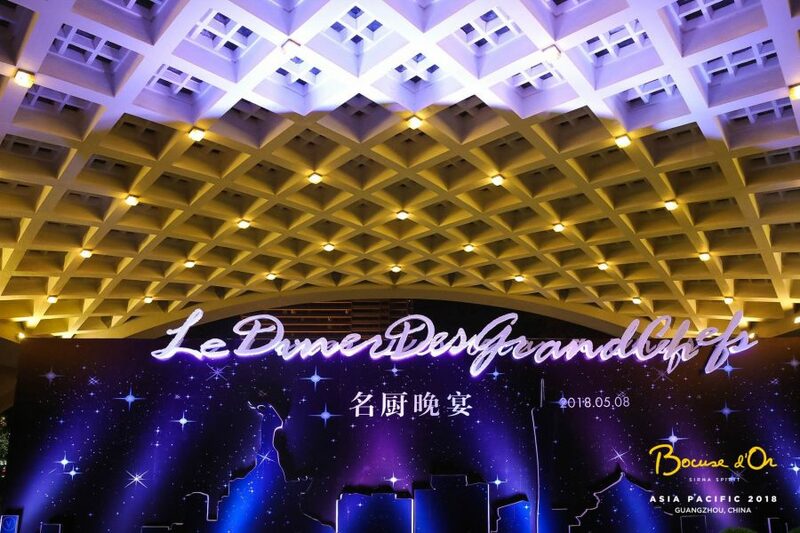 Its Asia Pacific Selection was held in Guangzhou this year; and on the May 8th evening, “Dîner des Grands Chefs” was presented as a grand finale of this regional culinary competition. 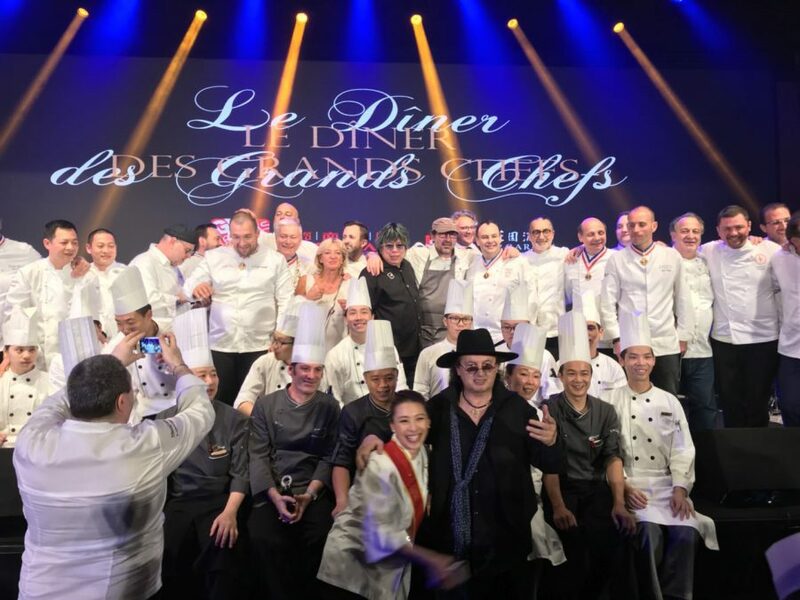 In the kitchen, the dinner was coordinated by Paul Pairet (3 Michelin star chef, Shanghai). 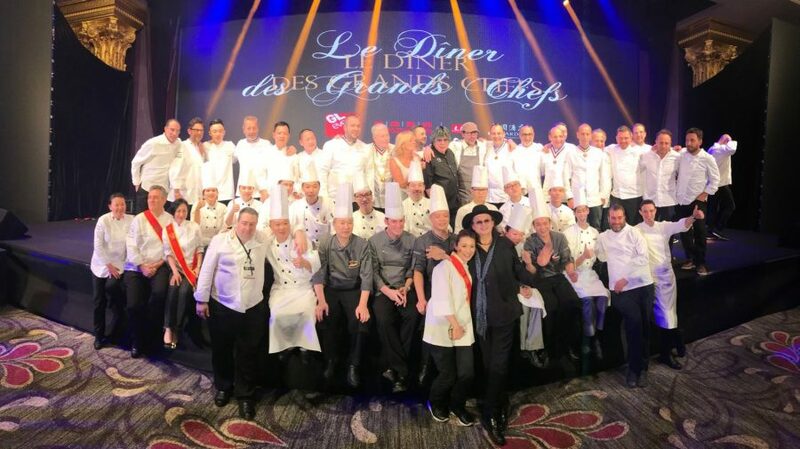 The brigade is composed of Arnaud Dunand Sautier (2 Michelin star chef, Bangkok), Alvin Leung (3 Michelin star chef, Hong Kong), Hisamitsu Hataji (“Meilleur Ouvrier de France”, based in Japan) and Clément Ayache (Pastry Chef at Pierre Gagnaire Restaurant in Shanghai).